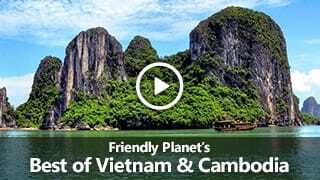 Already booked on one of our packages to Vietnam? See everything you need to know before you go. U.S. citizens must have a passport which is valid for at least six months after your arrival date. 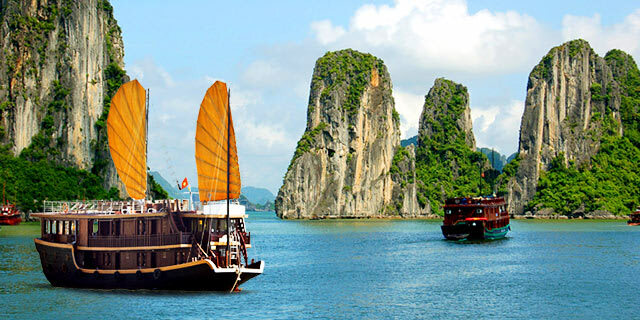 U.S. passport holders must have a visa to enter Vietnam, obtained no more than six months prior to arrival. You may apply for a visa through a Vietnam embassy or consulate, the official Vietnam visa website, or a fee-based visa service such as our preferred provider, VisaHQ. Consult the Vietnam Embassy or the U.S. Dept. of State website for more information. Booked on one of our packages with Scheduled Dates? We will send visa instructions for U.S. passport holders. If you hold a passport from another country, you are responsible for obtaining any necessary visas and meeting all entry requirements. Malaria is present in rural areas of Vietnam. See your doctor about malaria suppressants. Dengue fever, plague, cholera, typhoid, hepatitis and trypanosomiasis have also been reported in Vietnam. Disinfect wounds and bandage to prevent skin infections. Seek medical aid if bitten by an animal. 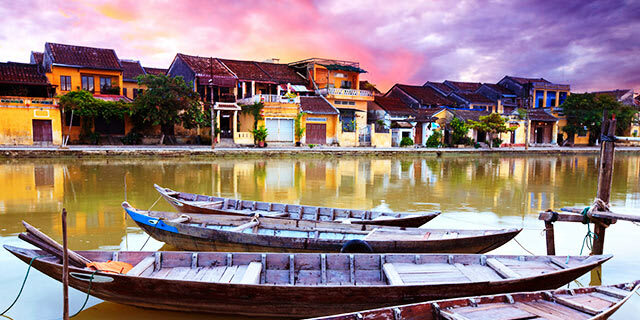 The best months to visit Vietnam are between October and December when temps are mild and nights are cool. The northern part of the country has cooler temperatures. In the south, monsoon season occurs between May and September. The mountains can be quite cold any time of the year. Bring along a sweater for cooler nights. Upscale restaurants will add a 5% service charge. Inexpensive restaurants do not expect tips. Taxi tipping is optional, but most appreciated. Shop for hand-embroidered items, jewelry, baskets, carvings, fabrics, marble boxes, water pipes, statues, water puppets, lacquerware, paper-mache, beaded bags, kimonos, watercolors, war-related items, and custom tailored items. Avoid tortoiseshell, coral, ivory and even antique items, as many will not be allowed back into the U.S. or Canada. 127/220 volts. Plugs A, C & G. You will most likely need a voltage converter and plug adapter in order to use U.S. appliances, even though some outlets will correspond to American plug types and voltages. We recommend getting a universal adapter and converter kit. View more information about electrical standards around the world. 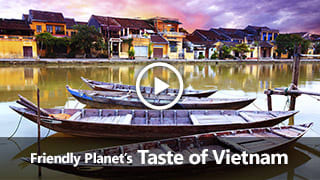 Check out our blog for our latest articles on Vietnam.